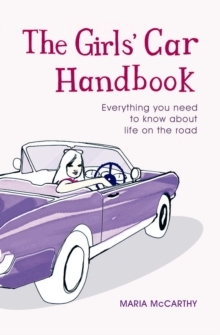 Stylish and fun, THE GIRLS' GUIDE TO LOSING YOUR L-PLATES is a deeply practical aid for every girl learning to drive. The initial chapters will help you sift out a good instructor, budget for and get the most from your lessons. There are hints too for the hapless parent/boyfriend who is prepared to take you out practising, and suggestions for keeping your relationship from cracking under the strain. Driving instructors add off-the-record information about the easiest places to pass and the best ways to win over your examiner. Author Maria McCarthy guides you through exactly what to expect in both the theory and the practical test, giving sage advice about managing your nerves and staying calm. There is help with driving once you've passed too, including how to get the best car insurance, and dealing with driving alone or at night. An uplifting chapter is on hand just in case you don't, at first, succeed. 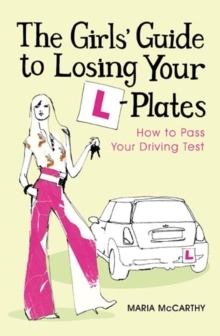 THE GIRLS' GUIDE TO LOSING YOUR L-PLATES is essential reading for every wannabe on wheels.